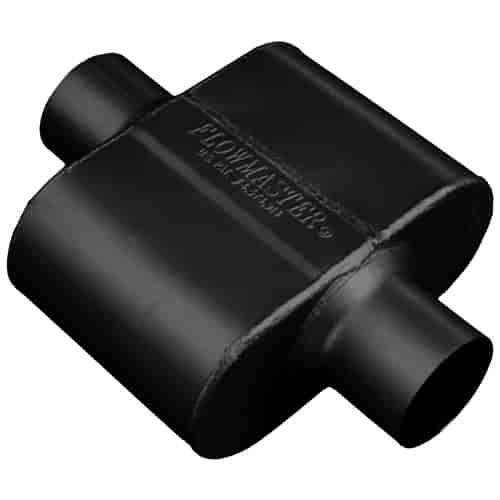 Flowmaster 10 Series Delta Force Race Muffler Center In/Center Out: 3"
Flowmaster's 10 Series Delta Force Race Mufflers are intended for racing applications where a muffler is required without a set decibel limit to be met. These 10 series race mufflers utilize Flowmaster's patented Delta Flow technology for maximum performance and will net a noticeable sound reduction vs. open headers without sacrificing valuable and hard-earned horsepower. Minimal decibel reduction over open headers. Available in 3 compact case sizes. 9430109 is rated 5.0 out of 5 by 1. Rated 5 out of 5 by tweekes from Just what i was looking for!!! Great sound and perfect size. Just what i needed! Thanks!! !